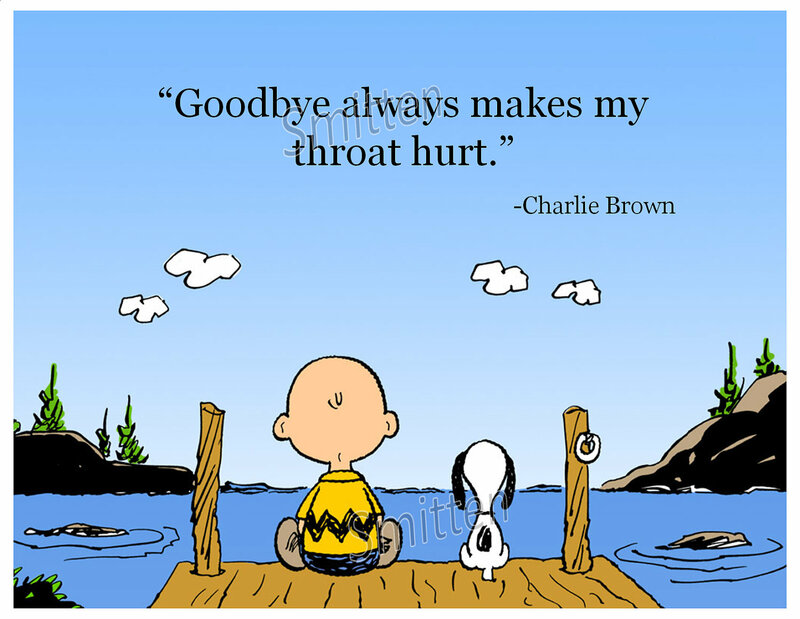 If you had to say goodbye to a friend or to someone dear to you, how would you put in in written words? Enjoy and all the best my dears! Se tivessem de dizer adeus a um amigo ou a alguém que vos fosse querido, de que forma o fariam por escrito? Divirtam-se e tudo de bom, meus caros! Saying goodbye is always very sad. My dear friend, I hope you the best in this new stage of your life, it’s always difficult to start over in a new place far for the family and friends, but sometimes is the best to do. So I wish you all the best in this new life. I hate to say goodbye… The best part of saying goodbye to a friend are the farewell parties ou dinners ???? Hello! I would say something like this: Dear friend, taking into account the time we have known and the consideration, friendship and companionship that we have experienced, I would like to wish you much success in this new stage of your life. Dear Best friend, you’re moving on to England looking for new opportunities, starting all over again, I know that will be some moments that you will feel alone, when that moment comes remember that Ismael, Vitor and I will always have the door open for you, the moments we pass together will never be forgotten and that you’re not alone. You will meet new friends and certainly you will find people that is having the same experience as you do, never lose hope fam! Moving on never was your decision, you need to stay positive because at least you have family and who have family have everything! You can always count with the brotherhood, you know that don’t you??? It’s sad when we have to move to have more opportunities … But unfortunately every time more happens! Beautiful words. It looks like a real situation. I hope that you will be very happy in this new stage of your life. I hope the decision to leave has been the most correct, and I hope you know that you can always count on me for everything you need. Although we are far from each other, we will always be in touch. I’ll miss you! A big kiss and all the best! ‘’Be in touch’’… it is the most difficult part mainly when one of us haven’t internet. My boyfriend lived a year in Africa, and we ‘’kept in touch’’ writting letters all weeks. It was very romantic, but now I’m glad he (finally) came ???? I believe it has been a difficult and emotional journey, but you are following your dream, and we are so proud of you. When you feel sad, remeber that we all behind you, supporting you, no matter what you decide to do. I’m look foward to seeing you soon. Dear friend…my love, my boyfriend! In this moment, the words can not transmit my feelings. I know that is very difficult to say goodbye and i know that the distance with us will be a problem. However i hope you have very successful in your new job and news responsabilities and i think that everything is going to be fine and soon you will come back to me. Promise me that you think of me every day! It is dificult to say goodbye to a friend, on any circumstances. Sometimes we have to say without knowing that we are never gonna see them again, it’s very sad but is the reality. I never said truly goodbye to a friend just a “see you soon”. I’m very happy for you, because I know this is the job that you always dream about. We are going to be separed only pysically, but nothing change in our friendship…it isn’t the distance that breaks what we have since the kindergarden. You can always count on me for what you need. I wish all the best and good luck for reach all the goals. I agree with you. I don’t like to say goodbye, i always prefer “see you soon”. I live far from my family a long time and can talk with them every day by phone or computer and that makes the pain decrease. It’s not easy for me to say goodbye, but you know how much this decision is important to my life. I can feel a little better because you will always be in my heart and all the things that you taught me I will never forget. Just 10 hours separate us!! I hope see you soon!! Thank you so much to everything!! I apologisze to take so long to write you. How have you been for these four years ago since I met you. Did you get married yet ? When do you come visit me ? I´m waiting for you write back. Well, my friend, since I know it will get better and happier, I’ll have to let you go. I know it will not be easy, but the phone will be connected to you for whatever it takes. It will not be the same because we will not share those moments that we always share. I wait for your arrives eagerly. It remains for me to thank the person you are and the sister you have always been, not in the same blood, but my sister. I have a dog called zeina. She was very sick and died. I felt very sad when he says the last goodbye, because we were like brother.I still miss her today. I love you but I know that this situation is very important for you. Your change is professional because in Portugal the situation is very difficult. In Portugal the employment is precarious and the salarys are very lows. Your future is in out of the country. I understand and I support this situation. I will always be your friend. In my opinion, the hardest thing that two people can be forced to do is to separate. In my childhood, my best friend had to emigrate because the parents were unemployed in Portugal and they got a better job in Switzerland. As she was a minor age had to go with the parents and I tell her goodbye was very complicated. She was the person I trusted the most and from one moment to the next she was not there anymore. These days I see her once a year for a week or two and I always try to spend as much time with her but … because she has so many relatives to visit, she doesn’t have much time. I understand but I’m a little sad because with our goodbye in the past we have never been able to have the friendship before. I hate to say goodbye so i try never say that word. Currently there are numerous ways to never lose contact so i prefer to say “see you soon”. I am very happy for you! You deserve this opportunity. It was a big pleasure work with you along this ten years. We arrived together and grow up together inside the company. We won many challenges, shared good personal and professional moments, and we were always united at the most difficult times. Today more than a coworker, you are a great friend. I wish you all the best to your new employment. Saying goodbye is difficult, but for true friend, I never liked to say “goodbye” the meaning is very strong, my preferred option is “even more” because it is more comforted. but if you have to say goodbye, thank you for all the moments spent together, and try to keep in touch. I really dislike saying goodbye. I do not like the feeling of seeing someone leave, and not knowing when I’ll see that person I care about again. I feel like I’m not alone in this. It is in situations when you do not know if you will meet again, that goodbyes become extended, reflective affairs. The realization that “you do not know what you’ve got it’s gone” suddenly hits home and we hold tight, clinging to our last moments with those special enough to be whom we love and care about. While we would prefer to avoid these situations by undoing the change, avoiding the feelings of longing, sadness and perhaps regret. We should not. The very fact that saying goodbye is so hard actually means we’re incredibly fortunate to have people that means so much to us in the first place. But you are not saying goodbye. Give them a call, write a letter or send a message online. Or failing that, think of them and the time you shared together, in some ways this carries the most meaning. So celebrate the relationships you have. Cherish those special in the present moment. Do not be disheartened when people leave.